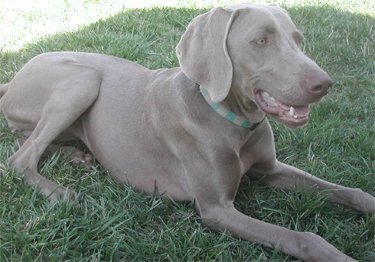 “My family’s six-month old Weimaraner had grown to be a big, lovable puppy who was trying to rule the household and everyone in it! She was more than our family could handle – but Julie’s three week Board & Training course was just the answer for her. Julie got to know our dog and our family, created a training plan that fit, and then kindly and firmly taught our dog how to be part of our family. At the end, we had the tactics and tools we needed to help the dog be well-behaved, and still remain an exuberant bundle of energy, and a happy girl. The dog is much happier with her new limits and so are we.